When I was a young buckaroo I used to travel with my family to visit my grandparents in Kingston, Ontario. During our summer visits we would make a second trip to the Picton Sandbanks to spend a day at the beach. My family used to call me “the fish” because I would spend all day in the water. I received the second nickname “hollow leg” because I would only leave the water to eat and when I ate, I ate a lot. I would make up games that kept me occupied for hours. For example, there was the Baywatch entrance, which involved me running into the water at break neck speed jumping over all the little waves until my final dive into the water. One of my favourite things to do was simply jump waves. On land I was four feet tall, but in the water I had a three-foot vertical and I was able to clear all the waves rather easily. When my parents would call me back to shore I remember letting my body go limp and the waves would bring me back to land. Another year of school has come and gone and once again I find myself asking the question “where did all the time go?” I have spent 5 years trying to desperately jump waves and now I can hear the voice of responsibility calling to join the rest of the world at shore. Looking back at it now I wonder if I could have done things differently. Instead of jumping over each wave that came my way maybe I should have found a way to use the wave to my advantage? Harness the wave. Use the wave. BOOM! Encouragement! Big wave surfers are people who tow themselves out to big waves that are over 20 feet high and try to ride them. At first you might think these people are crazy. Allow me to second that thought. It is crazy. But, is there anything we can learn from these thrill seekers? Imagine each wave as challenge you face in life. A new job, no job, starting school, finishing school, family, friends, and significant others are all waves that we will face in our life time. 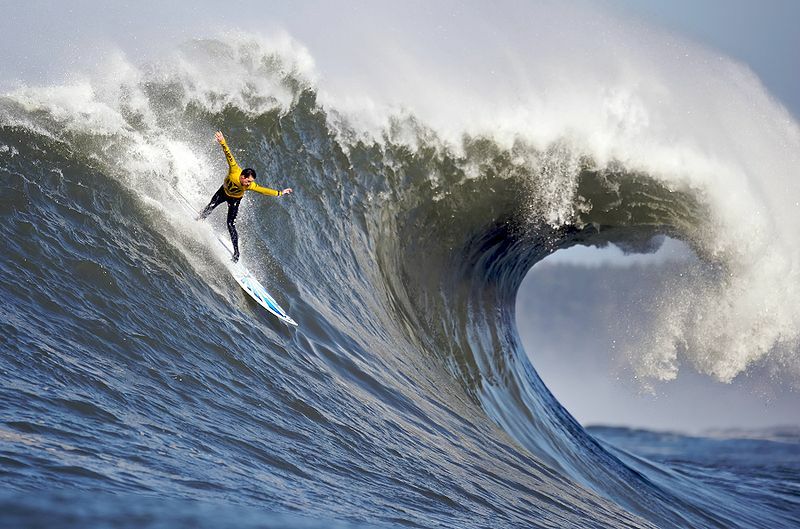 It may be tough to do, but I am calling on you to be a big wave surfer. When the wave seems so big that it is going to come crashing down on you be ready grab your board and head right for it. A misquote from Alfred Lord Tennyson reads, “it is better to have tried and failed than to have never tried at all.” But, I would go one step further than our misquoted Tennyson and say that when you are approaching life’s waves without fear – with the heart of a big wave surfer – anything is possible. Believe me I understand that life’s waves, like real 20 foot waves, are scary as hell. But, why not face life’s toughest challenges headfirst? Remember, with no risk comes no reward and we are the sole benefactors of each risk we take. 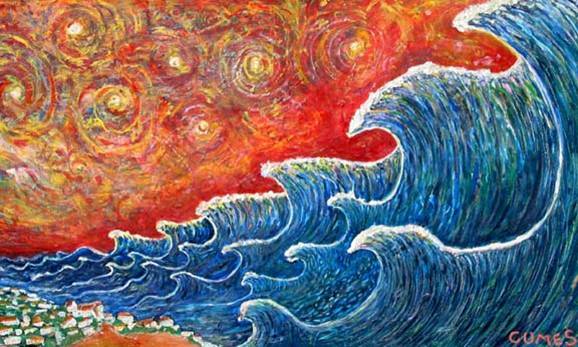 Life is a series of waves. When one comes ashore another one is right behind it. Some of them crash into our lives and others roll in sometimes unnoticed. Each wave is equally important playing an important role. The difficult part is sometimes seeing the value in things that do not come crashing into our lives. Each wave, whether in our lives, a pond, a lake, a river, or in the ocean, or whether small or large is unique and alters the landscape it touches. Every wave, big or small, should be ridden as if it is the largest wave. Sean I hope you continue to blog and share your insights and experiences. I look forward to reading every one. Sean, this is a great. Feel like it applys to me very much at this point in my life. Keep up with the great writing, looking forward to your next post.